Commercialization of Mayo inventions is essential to fulfilling Mayo’s primary value of putting the patient first. Consequently, we are interested in collaborating with industry to carry out technology commercialization activities. Our experienced team actively looks for new opportunities to license Mayo Clinic technology. We receive around 400 technology invention ideas annually and file about 100 new patent applications each year. What sets us apart? We are a nonprofit organization with a business approach similar to, but singularly different from, academic technology transfer offices. We encourage and promote collaboration with commercial partners to produce meaningful, effective changes for better health and medicine. After decades of experience, we continually look for new ways to guide innovative discoveries and patient-centered solutions to complex health issues. To broaden our network, to understand what the marketplace wants, we are highly proactive, not reactive. We have seed funds to further develop technologies; venture funds to finance startup company efforts; and a technology team deployed to identify and advance the development of technologies. Our financial goals are a means to an end, with the end being the advancement of Mayo’s clinical practice, research and education for the benefit of society. Our business development team functions as the front door for active technology collaboration between industry and commercial groups that is far more than a business transaction. We are proud to say that technology developed at Mayo Clinic represents medical innovations derived from an enormous repository of in-house experiential knowledge. Our researchers’ bold new ideas are brought to the forefront in an atmosphere enhanced by deep-rooted ethics and solidly embedded with Mayo Clinic’s responsibility to improve the quality of life of patients everywhere. Our integrative practice approach is a powerful springboard to developing new technology to solve problems. Mayo Clinic Ventures’ technology is developed within an environment that, by definition, is a culture of highly specialized medical problem-solvers. Dozens of companies have benefited from Mayo Clinic seed funds. The seed fund selection process is rigorous and highly selective. But for the Mayo Clinic scientists and outside entrepreneurs chosen, this financing can provide the boost they need to help turn their ideas and discoveries into therapies and products. Mayo has two seed funds currently available and a third should be operating by late 2015. The first seed fund is called the Mayo Clinic Ventures Innovation Program. Funding decisions are made within Mayo Clinic Ventures and the fund itself is derived from the licensing revenues that Mayo Clinic Ventures generates. The goal of the fund is to take early-stage ideas and move them to a more mature state and increase the potential for partnering with a company or working with an investor to form a startup. If it is a device idea, the funds might pay for constructing prototypes and conducting the first animal studies. If it is a biopharmaceutical, the money may be used for animal studies or early toxicity testing of the compounds. If it’s a piece of software, it could be used to build a beta version and test it. Projects funded must move an idea or invention towards clinical application, doing the translational work to understand if a concept has potential to become therapy or product. The program also has funded outside entrepreneurs and early startups who have approached Mayo Clinic Ventures with an idea. For ideas originating outside of Mayo, there needs to be a partnership or an intellectual-property strategic arrangement with the entrepreneur or company working with a team of Mayo scientists or physicians. If a relationship can be developed first that provides good value to Mayo and assists the entrepreneur or company in co-developing an idea, then Mayo Clinic Ventures is willing to consider funding the joint activity. For example, an entrepreneur who has just started a company to develop a medical device might contact Mayo seeking guidance from a clinician or scientist who works in the same area. From that point, Mayo Clinic Ventures might structure an arrangement bringing together a group of Mayo researchers to co-invent, brainstorm, improve and develop the original idea with the entrepreneur. In exchange for seed fund support, Mayo Clinic would receive equity in the company. The second fund is called the Mayo Clinic Discovery Translation Program, where recipients can obtain grants up to $300,000. Often these funds are awarded to projects that initially received innovation funding to move them further along the development path. As an example, for a device funded through the innovation program shown to work in animal models, additional animal work may be funded through the Discovery Translation Program for testing that the FDA would require prior to using that device in a clinical study. These funds also have supported joint development work with outside companies. The newest translational fund is being created from philanthropic sources. As a nonprofit organization, Mayo Clinic relies on the support of grateful patients who make gifts to further the Mayo Clinic mission. Benefactors have been invited to donate to this new benefactor innovation fund, with plans for funding to be available by the end of 2015. The goal in this case is to have enough financial support available to complete a first clinical study or trial. Technologies and ideas considered for this funding will have already gone through concept testing and be ready for a first application in a clinical setting. To stay on the leading edge of health care innovation, it’s essential to take advantage of every asset and talent — especially when they can lead to solutions that improve quality of life for millions of people around the world. Mayo Clinic Ventures is intent on finding new ways to transform innovative ideas into effective medical products that improve patient care. That is why we established our Entrepreneur in Residence Program to further our proactive approach to technology transfer. Entrepreneur in residence programs are utilized at venture capital firms to partner with highly experienced entrepreneurs who are tasked with finding new products or technologies and building successful startup companies around them. Using this model, Mayo Clinic Ventures established its own entrepreneur in residence program in 2008 to assist in the commercialization of its best ideas, typically developed by Mayo Clinic physicians and other clinicians as they pursue optimal treatments for patients. The program has the flexibility to work with entrepreneurs anywhere in the country. The Mayo Clinic’s Entrepreneur in Residence Program is selective in that a strong preference is given to working with entreprenuers with documented experience in raising capital and successfully guiding startup companies. Prospective entrepreneurs review the portfolio of technologies available at Mayo or bring early ideas of their own. If they find a technology they like, they can work with Mayo Clinic clinicians to conduct more advanced research, build a prototype or conduct other developmental work and, ideally, launch a successful company and product. Typically, there are between two and four entrepreneurs in the program at any given time, all of whom have highly successful track records. They know what to do. They know the markets. They know how to start a business. Mayo Clinic Ventures’ ideal entrepreneur is someone who builds a successful company around one of its technologies and then returns a few years later, looking for the next opportunity to launch a successful startup. If you have interest in Mayo Clinic Ventures’ Entrepreneur in Residence Program, please contact us to learn more. 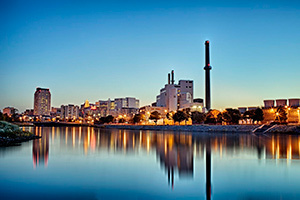 Medical entrepreneurs who want to start a company should look no further than Rochester, a supportive and invigorating community in southeastern Minnesota that is home to Mayo Clinic. Rochester is growing as a business hub, particularly because of Destination Medical Center (DMC), an unprecedented public-private effort founded to aggressively expand the unique business attributes Rochester has to offer. This includes opportunities for entrepreneurs who want to start medical companies and be located near Mayo Clinic. This innovative economic development initiative is expected to attract the most sophisticated health care leaders and thinkers worldwide and ignite commercial research in an environment that encourages partnerships and innovation. Entrepreneurs also can take advantage of links to Rock Health, a full-service seed fund that supports startups working in digital health; Techstars, a mentorship-driven startup business accelerator; and the Mayo Clinic Business Accelerator, which offers classes, as well as financing, legal and other services, for entrepreneurs who are just starting out. Established in early 2013, the Mayo Clinic Business Accelerator is already having a global impact — companies that have built their businesses around Mayo Clinic discoveries over that short time have launched innovative products that improve patient health and reduce health care costs. The accelerator provides a modern, high-tech research and development center that supports entrepreneurism in Rochester, Minnesota. Founded by the City of Rochester, Mayo Clinic Treasury Services and Mayo Clinic Ventures, the accelerator provides collaborative space for new companies, venture capital firms and entrepreneurs. The Mayo Clinic Business Accelerator provides office and research space at lease terms and rates that are affordable for startups and entrepreneurs. Tenants share common-space features, including wi-fi, lounge and meeting area and whiteboard walls for group collaboration. An executive board conference room also is available. In an example of the mutually beneficial relationship that has developed between the City of Rochester and Mayo Clinic, the Rochester Area Economic Development, Inc. (RAEDI) manages the accelerator. RAEDI selects tenants that complement each other’s talents, creating an open and synergistic environment that fosters communication and collaboration. Over time, companies that graduate from business accelerators tend to stay in the area, creating jobs and contributing to the economic base. Mayo Clinic physicians, researchers and business collaborators work to bring to the marketplace medical inventions that dramatically improve quality of life for people living with serious health conditions. These medical achievements bring significant financial support to Mayo’s patient care, education and research efforts, as well as more great ideas. “What makes the Mayo Clinic Business Accelerator unique compared to other accelerators,” says Rogers, “is the very close relationship that exists among Mayo Clinic, entrepreneurs, support services and the city. We are all active in supporting each other and staying focused on developing the technologies that will have the most profound impact on patients’ lives.” Richard Ehman, M.D., Mayo Clinic physician and co-founder and chief executive officer of Resoundant, agrees.